Whatever your moving needs may be, Meathead Movers will help you feel at home in Encinitas. Our professionally trained student-athlete movers and our moving concierge will be with you for the entirety of your move to Encinitas. Welcome to Meathead Movers of Encinitas! Encinitas is a great place if you’re looking to catch some waves or enjoy the local culture. If you’re moving to Encinitas a for a new job or to enjoy the beach culture of the area, you’ll want to check out what Meathead Movers has to offer. There are several museums in the area, and if that’s not enough, San Diego is only a few miles south. With a wonderful Fall Festival, a large Oktoberfest celebration and great surfing spots, people who plan on moving to Encinitas have a lot of entertainment options throughout the year. Our Encinitas movers know the area and can help make your move as easy as possible. We’re Meathead Movers, and we’re the top movers in California. That’s a bold statement, we know, but how many other Encinitas movers can say that they employ bright clean cut student-athletes who are working their way through college and are willing to go the extra mile? Our movers are smoke-free and drug-free, and they hustle as if they’re out on the field. In fact, our movers will jog when they’re not carrying or loading your items into our truck, saving you valuable time. Whether you need help with your local, long-distance, or commercial move, we will be with you every step of the way. We can also help with packing, storage, and on-site relocations. We aim to differentiate ourselves from other Encinitas movers with our superior customer service. We offer support during every day of the week in case any challenges come up on your move, and we train all our employees to follow the Meathead way. We also offer a complimentary moving concierge services to help get you in touch with key service providers to ensure a smooth and easy move. We’re courteous and respectful, and we take good care of your things. We also know how important it is to give back to the surrounding community. We offer free services to move women who are trying to flee abusive relationships, and we also raise money for charities like the United Way. We know that long-distance moves bring additional challenges and concerns. We offer fixed pricing for long-distance moves so that you are never surprised with how much you owe. We never consolidate our trucks, which means that we run according to your schedule and not freight schedules. We also keep the same movers on your job. The same people who load the truck will unload the truck. This ensures accountability and prevents confusion on the day of unloading. That’s the Meathead difference. Call us today, and our staff will be more than happy to give you a personalized, no-obligation moving quote or more information about the variety of services we offer. 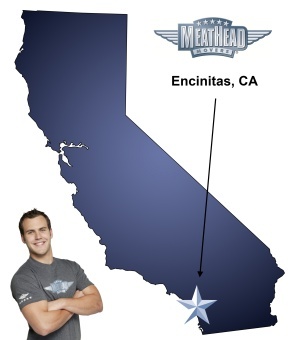 If you’re moving to or from Encinitas, choose Meathead Movers. Other Encinitas movers just can’t compare with our fast, professional and energetic service. Moving to Encinitas? Here are some helpful resources. These ladies were fast, neat and well organized! Very friendly service and I would recommend this service to anyone in need of help with moving! Will use again :). Thanks guys! Everyone I spoke with was very professional.